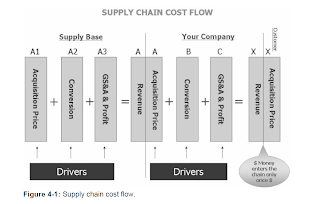 On this blog I'll write about Supply Chain Management with a focus on Procurement. Besides that you'll find links and information related to these subjects. The aim is to display my view on some interesting topics related to Strategic Supply Chain Management and Procurement and get other people thinking about it. In my article on costs, I provided the following figure. 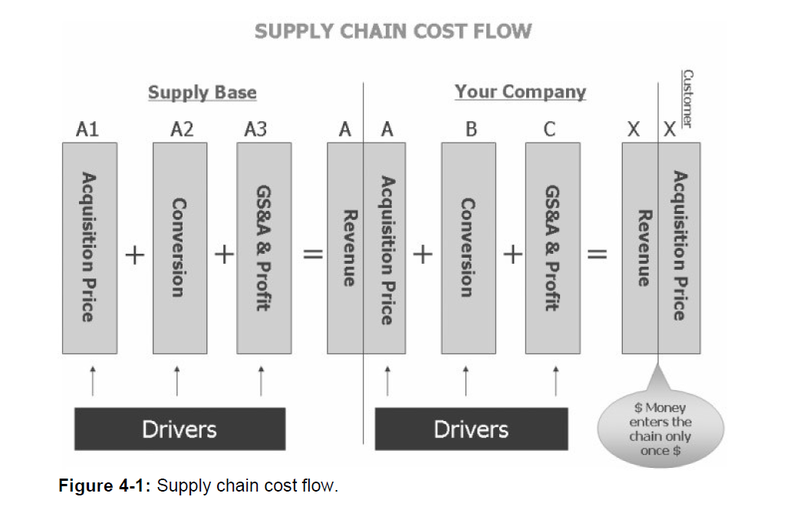 In essence it says the same as Jimmy Anklesaria does in his book 'Supply Chain Cost Management' (see figure below). 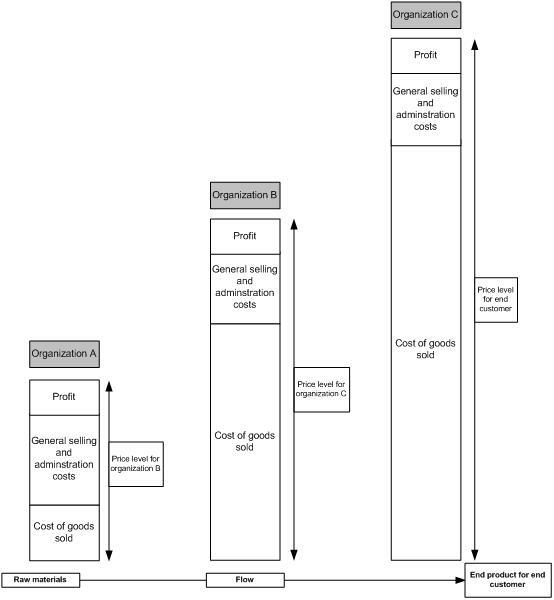 Anklesaria (2008) uses Acquisition price, Conversion, GSA and Profit, while I use: COGS (consisting of direct material, direct labour and manufacturing overhead), GSA and Profit. Despite this difference in composition/layout, the essence of the figure remains the same. Kevin Lemmens (c). Thema Eenvoudig. Mogelijk gemaakt door Blogger.